All travellers driving in spring the 150 kilometres from Berlin to Leipzig would first notice the bright yellow of the canola fields. After a short drive of two hours I arrive in town. Leipzig in Germany with its 500,000 residents is part of the state of Saxony. You know what people say about Leipzig, right? 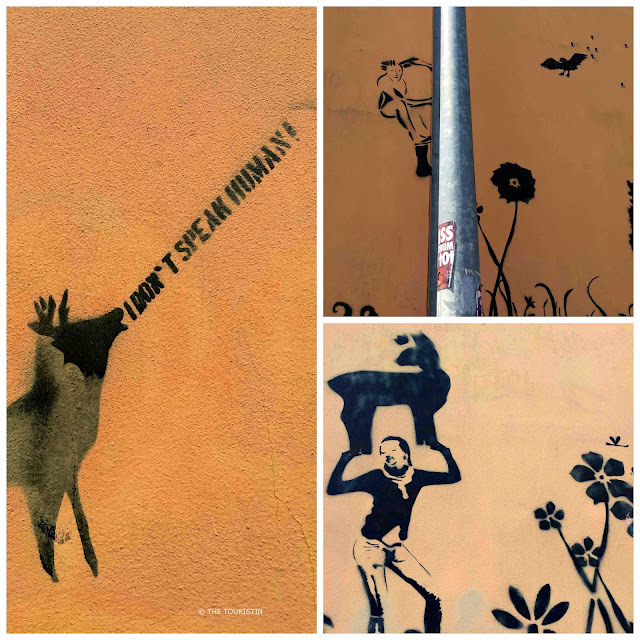 Some people believe Leipzig is the new Berlin in the same way as others believe that Prague is the new Paris or that Berlin is the new Brooklyn. I know people feel more comfortable when they can compare things, but I don’t agree with it. Every city has got its very own history and character. The ones who believe that Leipzig is the new Berlin even came up with a new name for the city, they call it Hypezig, from Leipzig and Hype. I have been to Leipzig before, whereas last time I visited all the must-see-places, like the St Nikolas church and the pretty market place, this time I stroll further away from the centre of town. I make my way to the area of Plagwitz, to the area of the Suedvorstadt and to the Buelowviertel in the east of town. After the wall fell the town Leipzig fell too … into a crisis of some sorts. People just wished to live somewhere else and many left the town. More and more factories shut down and the unemployment rate rose, a fifth of all available apartments were abandoned. That all changed dramatically with the beginning of the millennium. A new generation decided to move to Leipzig to study, most often the children of the ones who had left ten years before, and the town administration started to restore period properties and tear down socialist-housing. There are still properties in some parts that are abandoned. They wait for someone to kiss them awake. They wait for someone who is brave enough to bring change and respect its history at the same time. The Leipzigers are understandably not particularly keen on investors who buy properties only to make a quick buck. There are of course investors who advertise their properties as all high class and in an artsy area of town. Sadly enough they most often ignore the fact that all the “arty” people will have to move away because creative people hardly can afford to live in upmarket areas. Leipzig offers a lot of history and culture. There is the Museum of Fine Arts, with pieces of Caspar David Friedrich, Max Beckman, and Daniel Richter. The concert hall Gewandhaus, is well known for its remarkable acoustics. The St. Thomas Church with its Thomaner boys’ choir. The famous Auerbachs Cellar, we know from this scene in Goethe’s Faust. The St. Nicholas Church is the place where peaceful demonstrations against the communist regime took place. All these places are worth the visit alone. To get the whole picture dive in one little bit deeper and look at what is going on today. You will soon find out how people feel about their hometown, and how very passionate they are about their town. The bookbinders and textile manufacturers of this former industrial area in the southwest made space for the ones who love life in a historical ambiance. Where there used to be workshops and warehouses there are lofts and chic apartments today. The days of arduous manufacturing work are long over. In their spare time residents tend to urban gardening, with the goal to become more independent and lead a more sustainable life. 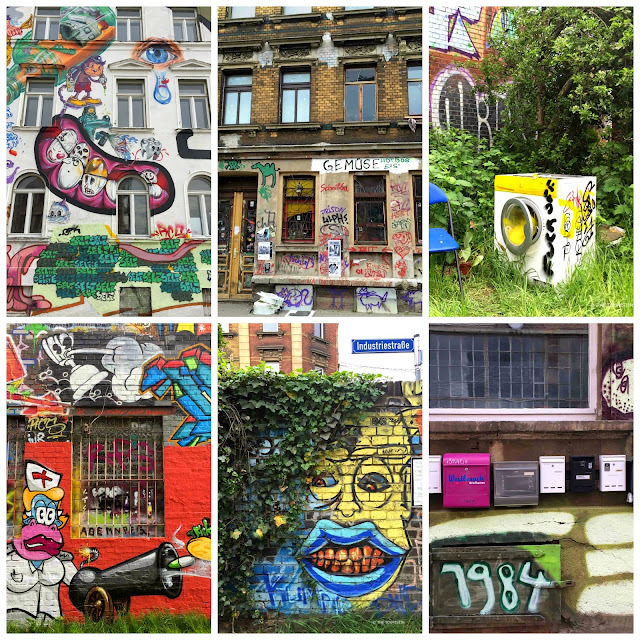 I went for a few hours to Plagwitz with a group of Instagramers for the first ever Instameet in Leipzig organised by Leipzig Travel. Go for a stroll along Karl-Heine-Strasse to take pics of street art and graffiti or have a coffee at the many Cafés. Order “Lukullus“ at Café Albert to gain insight into the German heart and soul. This is a popular cold chocolate-biscuit cake most Germans were made addicted to in their childhood by their parents or grandparents. Depending on the area the cake is also called “Cold dog“ (German: Kalter Hund) or also “Cold snout“ (German: Kalte Schnauze). Eat a whole piece of it to truly understand what Germans are capable of. 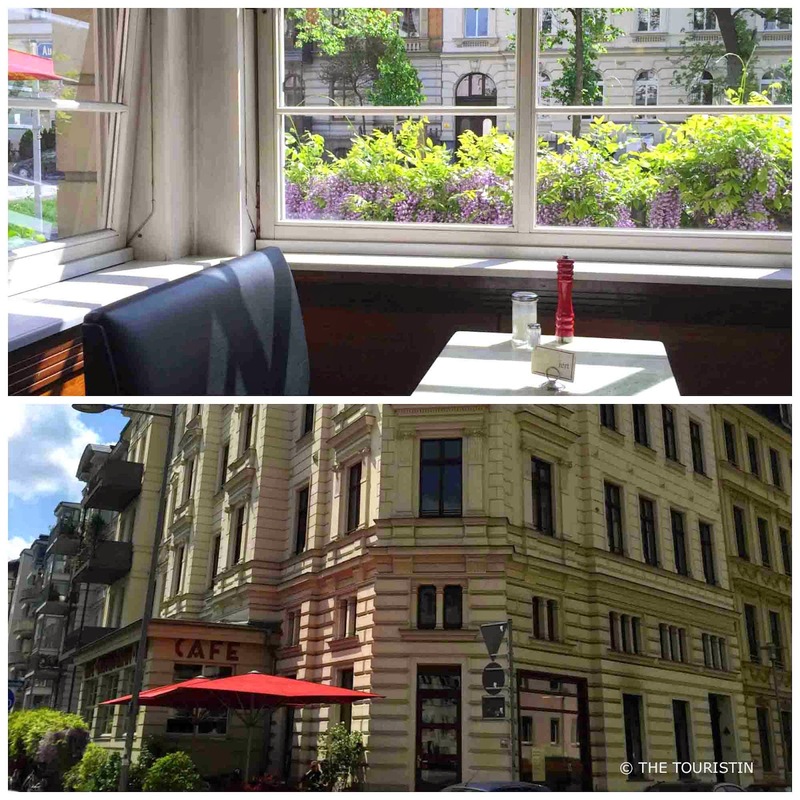 Walk through the backstreets towards the Karl-Heine canal before you sit down for a longer break at Meins. On your way you will come along this massive area where graffiti artists are invited to spray legally. Cuddle the residence cat while you relax in what looks like Grandma's living room. You can eat eggs in mustard sauce or spinach dumplings if you are vegetarian and there are also a few vegan options like for example parsnip soup. Try the local organic soft drink “Lipz” in either gooseberry, blackcurrant or rhubarb. When you look at the rather idyllic Karl-Heine canal with its pretty boats try to imagine that during GDR times, this canal was used as a sewer. Karl Heine was a solicitor who in 1854 bought land and built factories, he also established parts of the infrastructure. Cold snout. Cold dog. Kalte Schnauze. Kalter Hund. Wander along Karl-Liebknecht-Strasse and you will fast see why this area full of period properties is so popular amongst young people. Its proximity to the town centre and to the Uni of Leipzig are sure-fire benefits of life in this part of town. Have breakfast at Café Grundmann. Choose from an amazing choice of breakfast staples like eggs in a glass and marvel at the art deco interior. It seems odd that some guests arrive in their Porsche but the very warm tongue in cheek humour of the wait staff makes up for that. While wandering around, I can’t believe my eyes when I see a piece of the French Street Artist Blek Le Rat from 1991. It was rediscovered by a resident in 2012 and is today protected by a glass panel and listed as a historical monument. There are many abandoned properties in this part of town between Eisenbahnstrasse and Torgauer Strasse, and the residents work hard to turn this borough of Leipzig around. The forgotten sleeping beauties stemming from the Founder Epoch have front yards where everything is left to grow uncontrolled. They stand happily in a row with the already refurbished houses, which are proudly showing off their shiny facades and well kempt front yards. People who made the first step with moving here, started to make this place more attractive, welcoming and family friendly. They clean up streets, plant trees, build playgrounds, organise street festivals, and neighbourhood BBQ's. Wander around and see a work in progress. Why not love Leipzig for what it is and nothing less. Have you visited Leipzig? I can’t wait to hear from you. Rotterdam, The Netherlands. Discover Street Art in Rotterdam, the Netherlands.